Today is just a quick update on where I am with the third book in the Love Is Not Enough series, which is titled Runs Alone Girl. 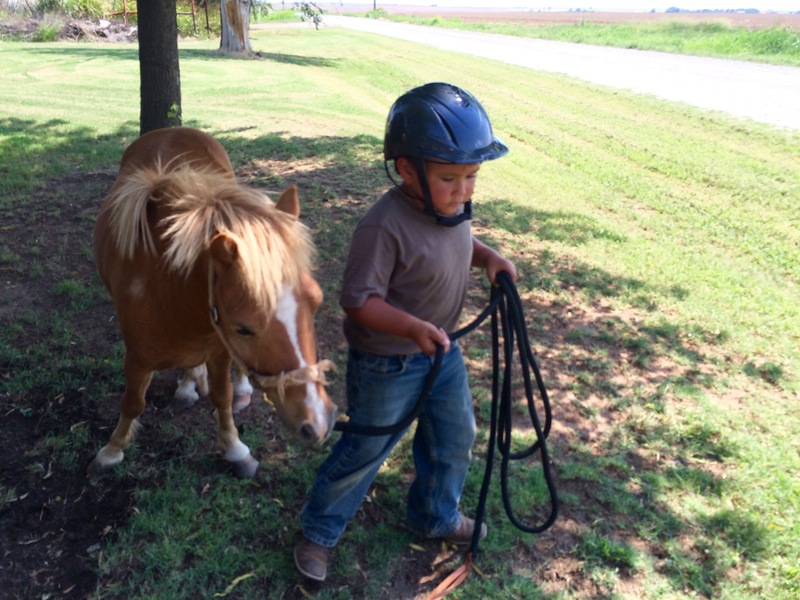 A little over a year ago, I had the startling revelation that the third book in my series is like the difficulties of bringing forth my third kid, (read the post here) but I was optimistic, hoping to finish the book that year. Back when I started writing this series, it wasn’t a series. It was one ginormous book. This book would lay Tolstoy’s War and Peace in the shade for weight and wordiness. If printed out, this book would’ve held it’s own against Obamacare’s reams of pages nobody wants to read. Ol’ ranch gal to librarian: I’m lookin’ for a good book to read. Can you recommend one? Librarian: Do you want something light, or heavy? Ranch gal: Either way. I’ve got my pickup with me. So, anyhow, to get a handle on this massive tome, I took an online class taught by the world’s greatest writing mentor, Terri Valentine. She gently told me I might have aholt of a lot bigger project than I thought I did, and she started helping me bust down the original book into a series. 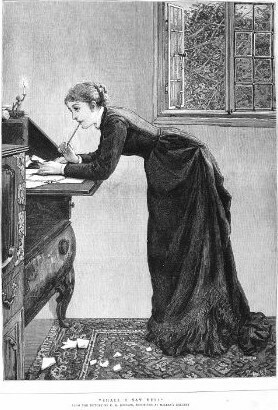 People who write novels often hit what they call the “sagging middle”. The sagging middle is where the author basically flounders around for half the book with no direction and it’s SO BORING. Originally, Runs Alone Girl was the saggy middle of my massive book. 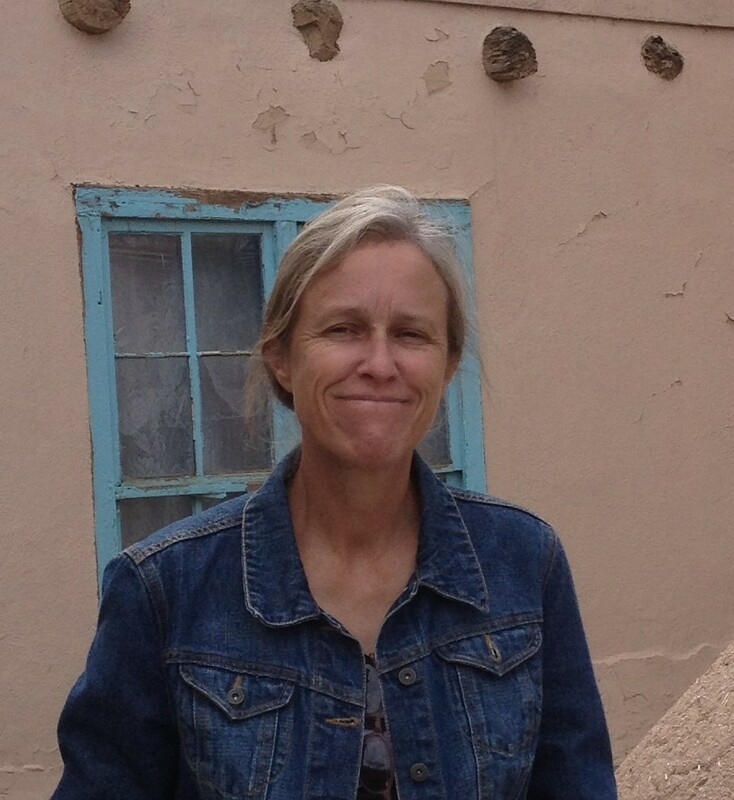 Not only that, it centers on my character Annie, the Navajo girl. While I love Annie very much, she is emotionally frozen, stiff as a board, intensely personal, and an observer of life who doesn’t like to talk. Many of her scenes are written with her barely saying anything, or nothing at all. If you know anyone like that, you know how hard it is to interact with them and it’s just like that writing about them, too. However, there isn’t anything more disappointing to me as a reader than an author who gets in a rush and starts cutting corners, so I’m going to put in the time to do Runs Alone Girl justice. I’m about 80% finished, and God willing I’ll be ready to release it later in the year. As they say, there’s light at the end of the tunnel…I hope it ain’t a train. Thanks so much for reading. Until next time, God bless all y’all and enjoy Rend Collective singing You Are My Vision. Shakespearean insults and tea, anyone? As a tea drinker, I am all about just-right mugs, so imagine my delight when my nice sister-in-law gave me an amazon card for Christmas to spend in any way I pleased. I, of course, immediately purchased this Shakespearean insults mug, which allows me to chortle as I sip tea and plan ways to insert some of these beauties into casual conversations, arguments, letters to the president and congress, and my books. At any rate, since my “mountain of mad flesh” is under the weather this week and I am “not so much brain as ear wax” I’ll just share these twenty-eight zingers. They’re all priceless, but my favorites are in bold. Isn’t that last one great? I shall try it on Gramps someday. “Why hast thou tracked through the cow pen and onto my clean floor again, thou beetle-headed, flap-eared knave?” I shall screech. Ha. We’ll see what he has to say to that. If you have a favorite, go ahead and post it in the comments. Until next time, God bless all y’all and lest I get too carried away flinging around my Shakespearean insults, maybe I’d better end with this Phillips, Craig, and Dean song, Let My Words Be Few. 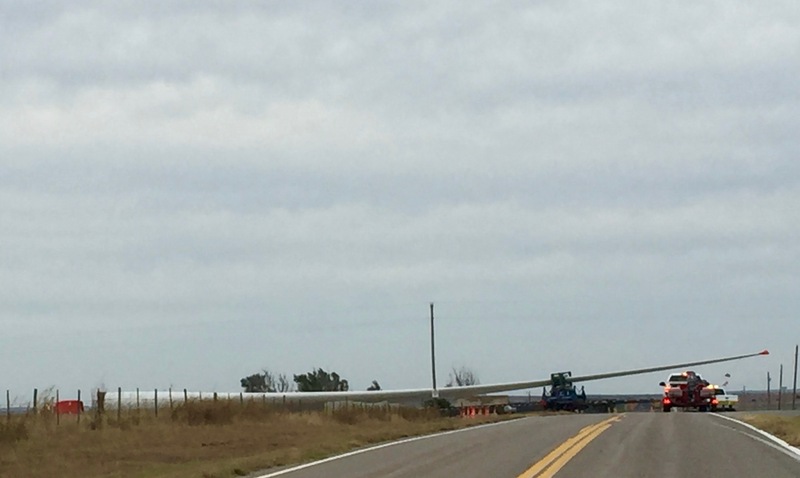 Before NaNoWriMo kicks off in a few days and I’m too busy to blog tend, I’ll post a few pictures of some of the wind turbine components getting trucked out to the new wind farm location a few miles from our house. At any rate, wind farm construction is coming on apace the past few weeks, and for those who can’t imagine how massive the wind towers are, I’ve snapped a few photos. The picture above is a nacelle that sits atop the tower and is connected to the rotor. The nacelle contains the majority of the approximately 8,000 components of the wind turbine, such as the gearbox, generator, main frame, etc. The nacelle housing is made of fiberglass and protects the internal components from the environment. The nacelle cover is fastened to the main frame, which also supports all the other components inside the nacelle. The main frames are large metal structures that must be able to withstand large fatigue loads. Wow. I sound really smart there, don’t I? Yeah, that’s not me. I copied that description off the AWEA’s (American Wind Energy Association) website. 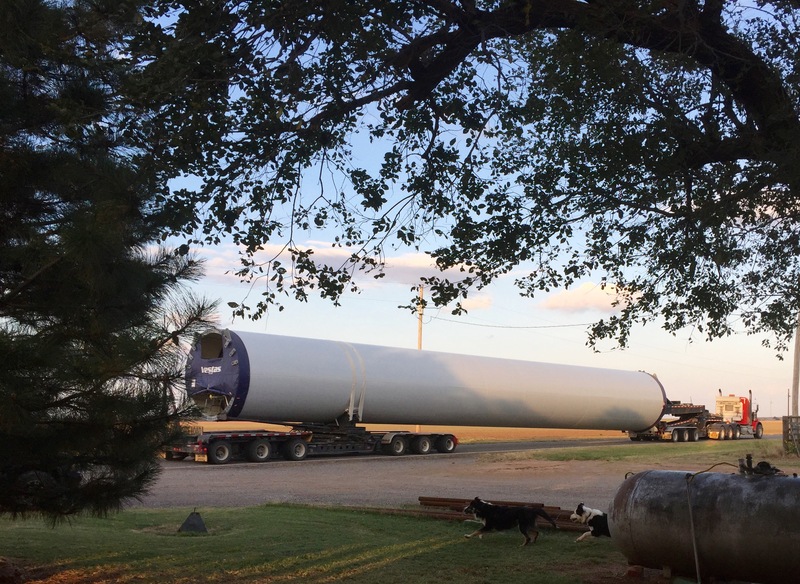 I haven’t got a picture of the rotor which is attached to the nacelle with three holes in it for the blades, but they are so big only one at a time is hauled on the trailers. 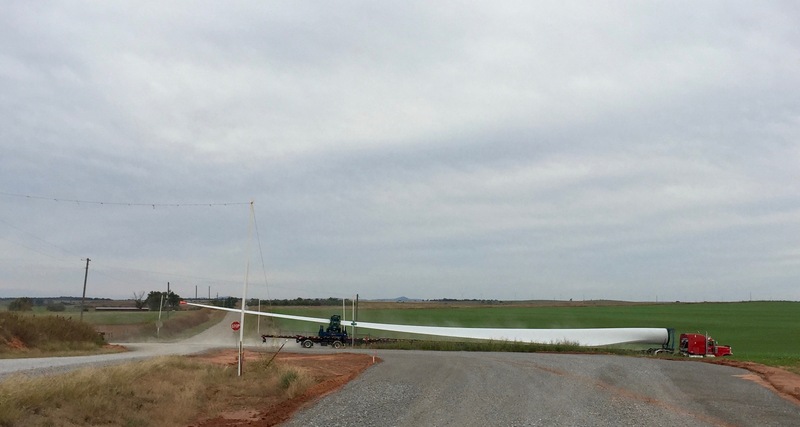 The next pictures are of a wind turbine blade. 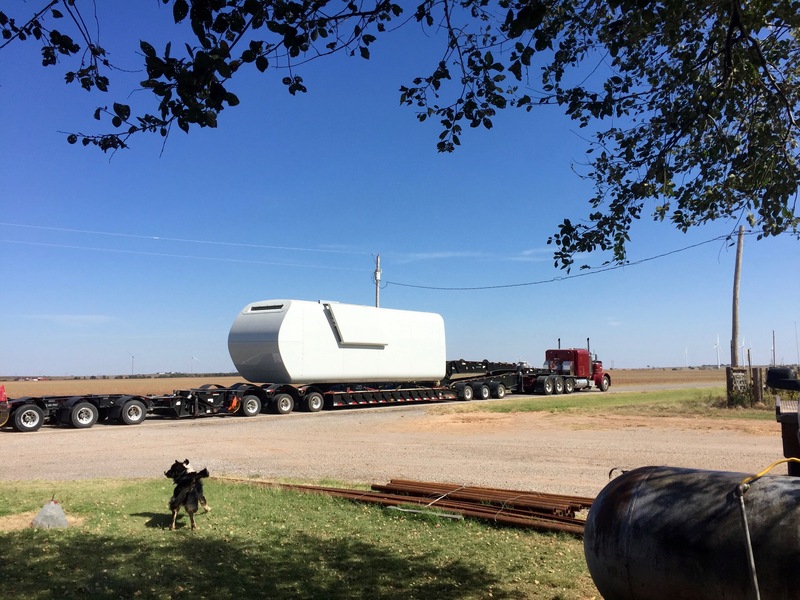 The truckers can’t turn these things just any-old-where, so the wind power company has built special turning places on certain roads. The picture below is just one of the tower sections. 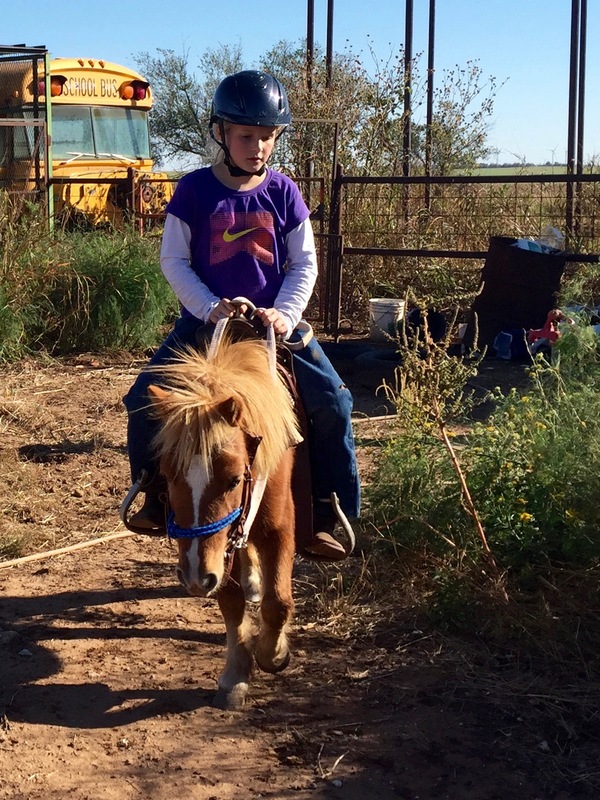 And in other news, two of the grandkids, Blondie and Roper, have been learning some horsemanship skills and yesterday, for the first time, Blondie on the pony Frisco, and I on my mare, Sis, went on a ride together. I couldn’t be more pleased. As always, thanks so much for reading. Throughout November, I will try to post how the NaNo 50,000 word challenge is coming along. Until next time, God bless all y’all and enjoy Southern Gospel Revival doing When They Ring Those Golden Bells. At any rate, nearly a year has passed and I’m gearing up to try NaNo again. My plan is to whack out the rough draft of the sequel to Agnes Campbell’s Hat while continuing to work on the third book in the Love Is Not Enough Series and do a bunch of other stuff, too. 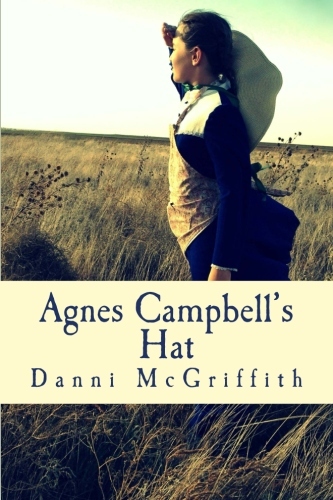 Agnes Campbell’s Hat is aimed at younger readers who read books in the 35,000 word range, so depending on how the drafting process goes, I may not need to write the entire 50,000 words. Harold is at chip display (pork rinds?) sullen look. Why are you just standing there, Harold? Chop, chop. (is she trying to figure out why Harold’s mad? Argument over cracked iPhone screen again? Losing the dog?) (Look up what kind of dog from last book) What’s your problem Harold? Did u not sleep again? Not after you dug your toe into my shin at three o’clock. Melba stares. What’s he talking about? You woke me up doin’ this–Harold makes grinding toe motion–on my leg. Figured I was breathin on you or something. only got two or three minutes sleep after that. Melba: Dug into you with my toe? (Is he kidding? The guy with toenails like daggers?) I know nothing of this so called toe incident, Harold. Do you seriously think I wouldn’t just–makes jabbing elbow motion–and tell you to quit breathing on me? Harold scowls? You got up and went to the bathroom after that. Then the poison dart hits her in the forehead? Harold thinks, serves her right now she knows how I feel after toe incident? What if the gunman rips off his hat and he’s a woman with a mustache? Real? fake? Harold suddenly remembers a recurring nightmare about a man with a little mustache? His mother? Did they think she died a long time ago from the freak farm accident? begins to suspect he was adopted? What does Harold actually need in scene? Resolution from pain of his past? New cell phone so he catches podcast about missing mob boss for next chapter? Just pork rinds? *Parts of Harold and Melba’s conversation may, or may not, have actually occurred one morning before breakfast. Some names may have been changed to protect the guilty. I might not have many brain cells left for blogging in November, but we’ll see how it goes. As always, thank you so much for reading what I write. Until next time, God bless all y’all and enjoy Phillips, Craig & Dean doing You Are God Alone. Anyone with a finely tuned sense of the ridiculous can usually find something amusing about most any situation, but there comes a point when life just ain’t funny. 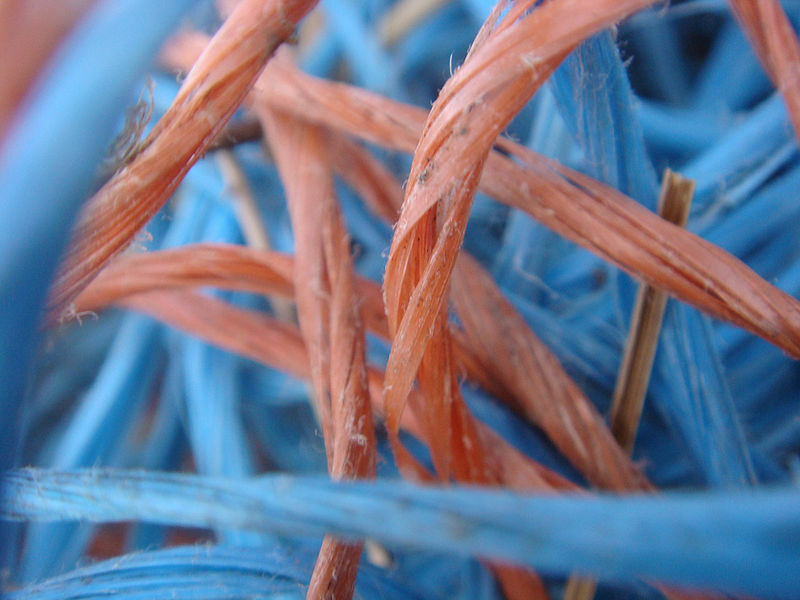 As a writer, I’ve been warily circling the big, snarled up ball of twine in the middle of my metaphorical writing room, looking for the string to pull that will allow me to write something about some subject. Anything. Forget amusing, I’d settle for coherent. Finally, I began pulling strings. D? Good grief. The worst yet. At last! The right string after all. Gramps and I have a border collie named Nellie. 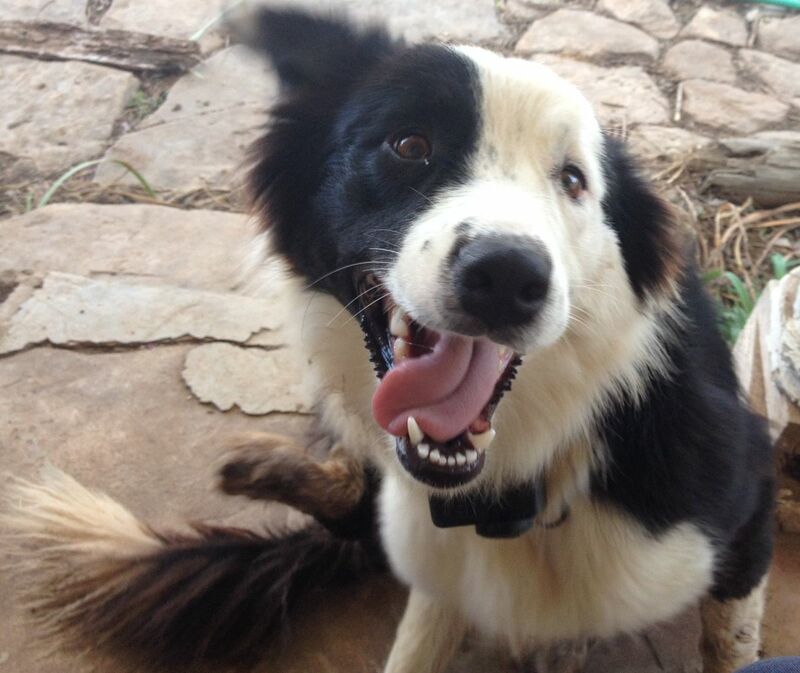 Border Collies are typically livestock herding dogs, not bird dogs. She’s beautiful and we love her, but she is handicapped by hyperactivity. Nellie is confined to our yard by a Pet Safe electronic collar that sends a wireless shock if she gets too close to the road. The collar has saved her life approximately twenty-three-million times, now, because Nellie loves to chase. She can’t be trusted with livestock, so she spends every waking moment chasing: motorized vehicles which she can’t catch because of her collar, the cat, grandkids, toads in the summertime, and birds. Mostly, birds. If she had the choice of a nice, juicy steak bone, or bird chasing, she would choose the birds. Nellie’s obsession with birds causes her to go deaf so she still has to be kept on a leash when I take her out of her electronic circle. If I turn her loose, she races after birds and pays no attention to me calling her back even when I have a pocketful of meat as incentive to return. Bear in mind we are surrounded by miles and miles of wheat fields. She could run for a long time following birds as they lured her farther and farther away like the ruthless Pied Pipers they are. Anyway, the other day while walking, some madness seized me and I let her off the leash. We practiced her commands for a while. Everything was great. Then the flock of meadowlarks. With single-minded zeal she dedicated her life to catching those birds. I don’t have a loud voice, and no matter how I shrieked, howled, or whistled, she ignored me. Anyone who has ever had a dog that won’t come on command knows how severely annoying that is. Finally, she must have sensed it was good I wasn’t packing a gun and she headed back. I told her, “Good girl, good Nellie,” and so forth as reward for her reluctant obedience, but then she saw another bird and took off. I’d had it. “Stop!” I roared. The force of my command pulled me up on my tiptoes and then rocked me back on my heels. A shower of spit sprayed all around. Nellie stopped dead and looked at me like I was having a psychotic episode. Then she waggled over so I could snap on her leash. I stared at her, thunderstruck. 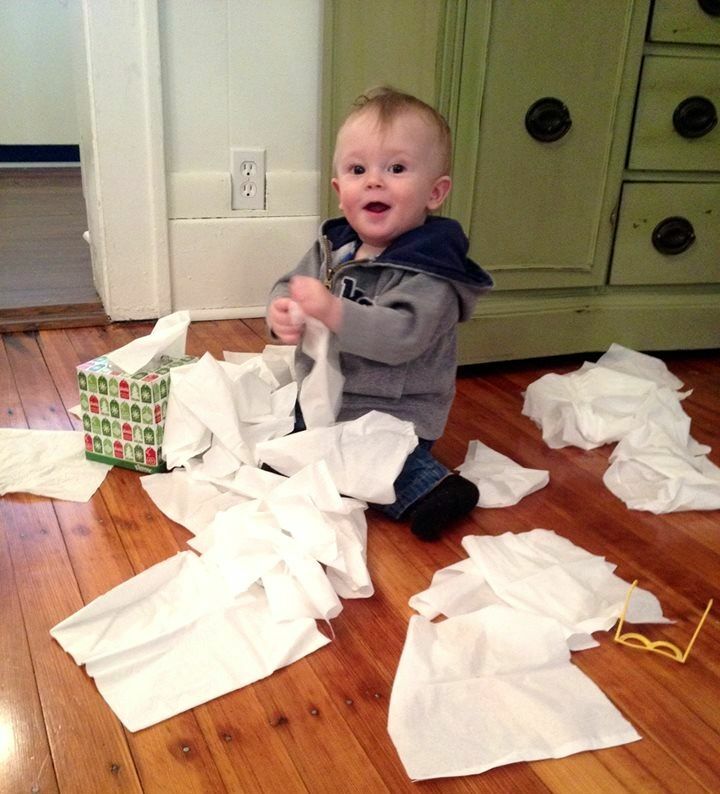 All these months I had apparently been too nice with my calm, quiet commands. We walked home with me periodically bellowing, “Stop!” And she did, looking at me like, “Geez. All right, just calm down.” I got the giggles. How ridiculous we must’ve appeared from a birds’ eye view. *This artist doesn’t necessarily endorse Nellie’s behavior, she just loves this song. I’ve had several questions lately about book three in the Love Is Not Enough series…How’s it coming along? When will you be done writing it?…etc.The truth of the matter is that even though I’m working off a draft and have the basic storyline fleshed out, I am dragging this third book up kicking and screaming from my toes. (I know…ew!) I plug away at it, but have no idea when it’ll be finished. I’m shooting for sometime this year. This third book in my series is like a third kid! With two healthy boy children, surely something would be wrong with #3? #1 and #2 were so cute and smart-ish, what if #3 was ugly and dumb? #1 and #2 reduced me to raving lunacy on a regular basis…how could I possibly manage when #3 hove onto the scene? And finally, what if #3 was another boy and not the girl who would decrease the ratio of males to female in the family and save me from overmuch testosterone exposure? Books 1 and 2 are surviving, what if Book 3 comes forth fatally flawed? Books 1 and 2 used up a lot of brain power…how can I possibly have enough left to write Book 3 especially when real life has continued to sap my old grey matter? And finally, what if Book 3 isn’t what my readers want and expect–a real stinker? Well, in spite of my fears, our third son turned out to be a keeper, and his third son, Tater, did too, so..maybe the third book in the Love Is Not Enough series will be all right when I finally get it hauled up from my toes. Until next time, God bless all y’all and enjoy the inimitable Alison Kraus singing this beautiful song, A Living Prayer. *This artist doesn’t necessarily endorse my blog, I just love her singing.